Medium (3/4" - 1-1/4") w/Silver-Plated Bail - 1pc. 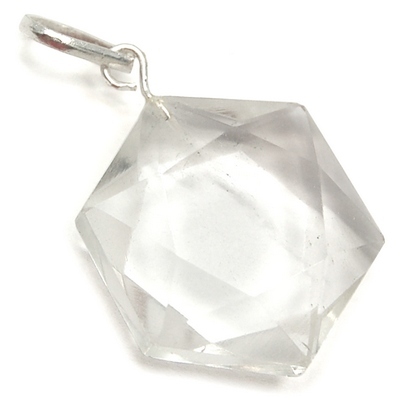 Clear Quartz Star of David Pendant (India) - These are beautiful Clear Quartz Star of David Pendants from India with a silver-plated bail. 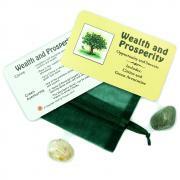 They will look great on a silver chain or a leather/cotton cord. 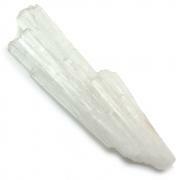 Clear Quartz is a powerful energy amplifier. 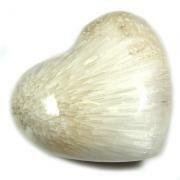 The Clear Quartz Star of David is a great stone to use during mediation, or for use in a manifestation program. The Hexagonal Sacred Geometry cut of this 2D Star of David is combined with the natural Hexagonal Sacred Geometry of the Quartz Crystal to create a distinct and powerful vibration, thus making this item great for any type of grid work. Many people who use the Star of David find that it is comforting to have around during times of stress because of it's special energies. These Stars can be worn as a protective amulet. Be sure to cleanse them afterward!